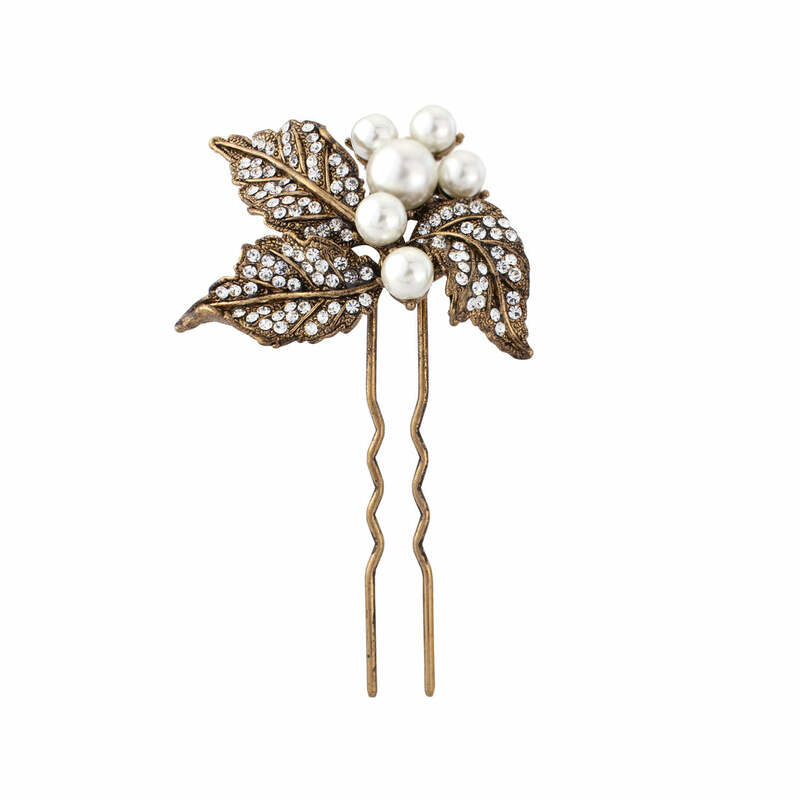 Opulent glamour perfectly describes this gorgeous and classic golden hair pin. Capturing the decadent glamour of the fabulous 1940s, our beautiful Golden Leaves Hair Pin oozes Hollywood Starlet style. With a pale ivory faux pearl cluster surrounded by three clear Austrian crystal encrusted leaves set on antique gold tone for authentic heirloom style, this elegant pin is the perfect choice if you adore timeless vintage glamour which epitomised the Golden Age. This two prong pin is a charming wedding hair accessory to bejewel all styles of bridal up-dos from an elegant French pleat to a more tousled chignon. For a dramatic Hollywood Starlet style team our Golden Leaves Hair Pin with a pair of statement chandelier earrings and gold bracelet or bangle for opulent radiance as you walk down the aisle!